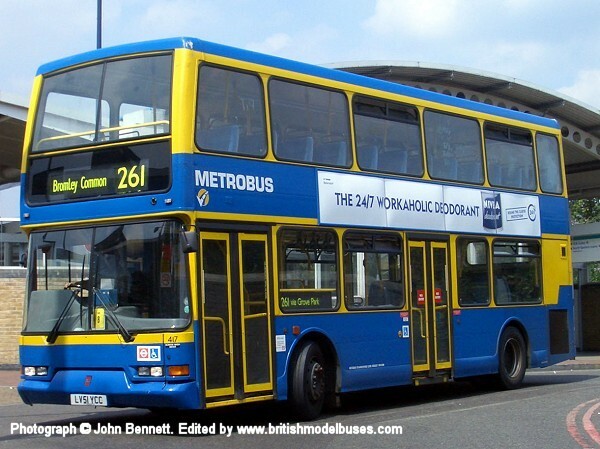 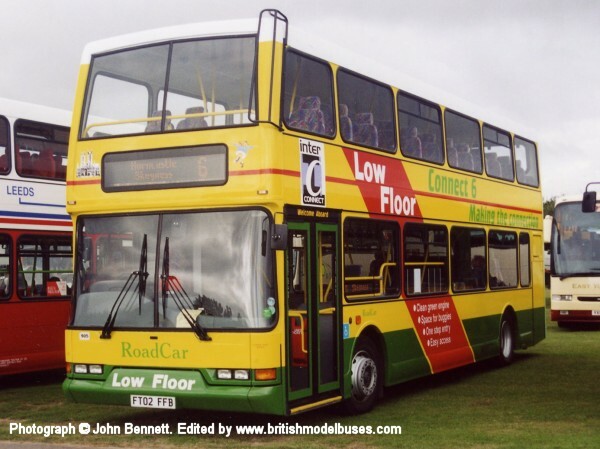 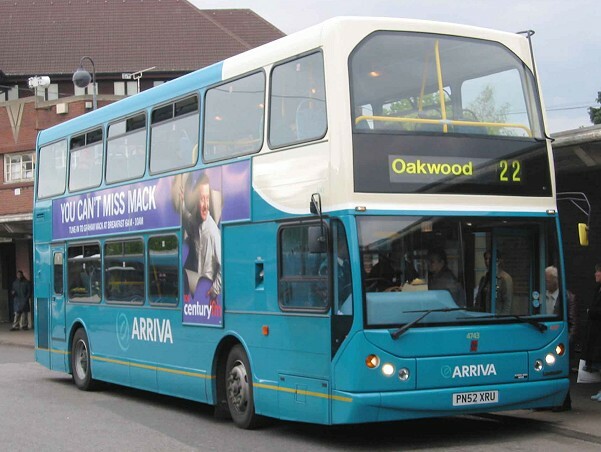 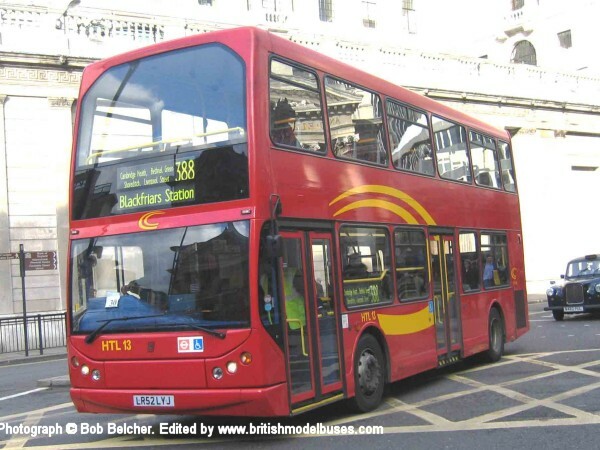 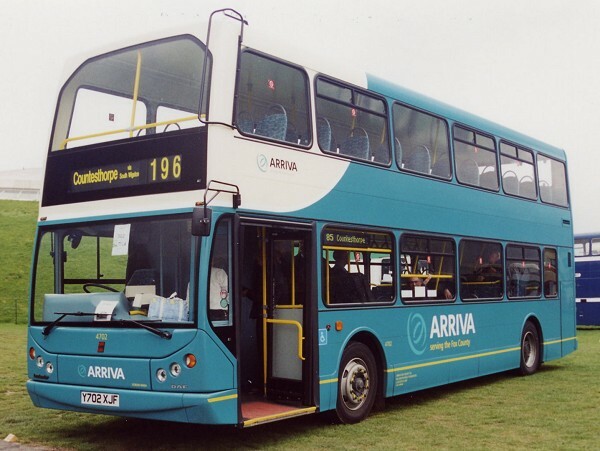 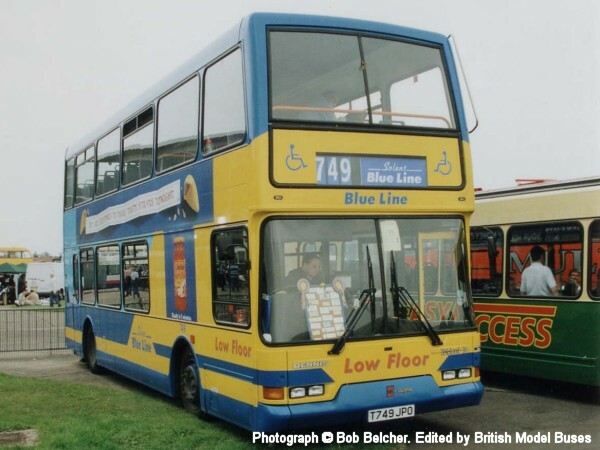 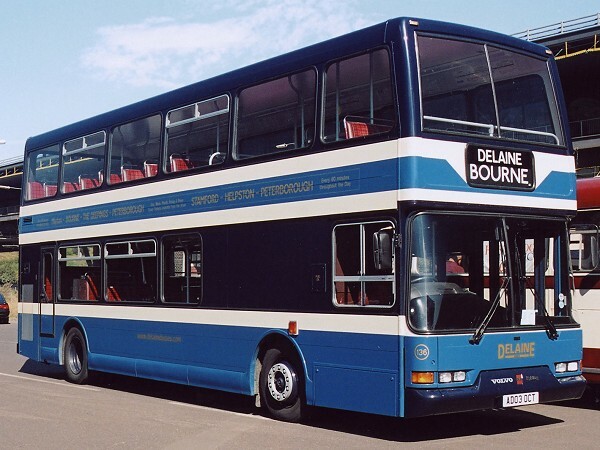 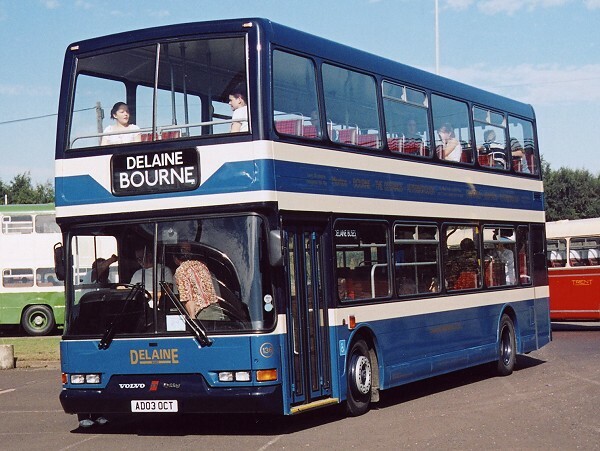 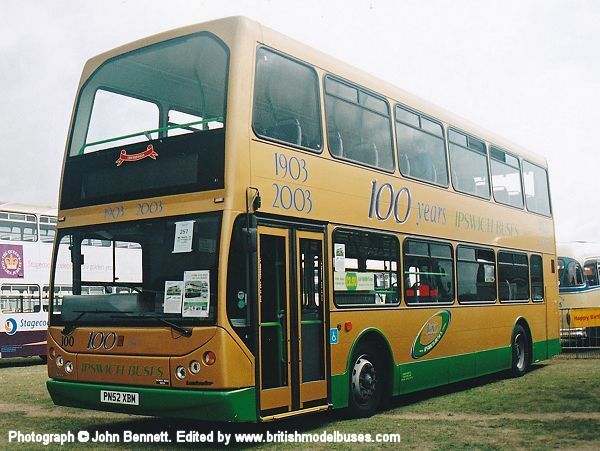 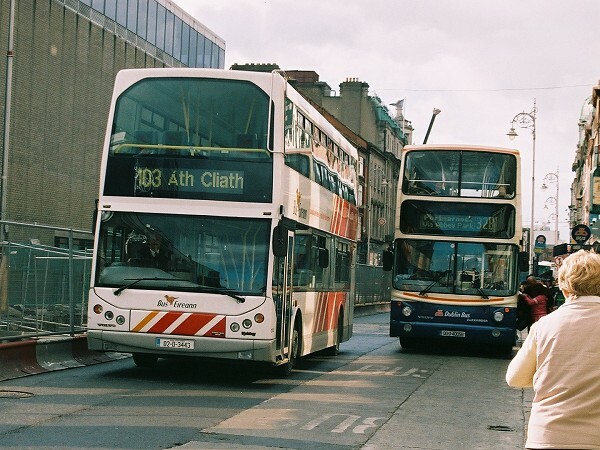 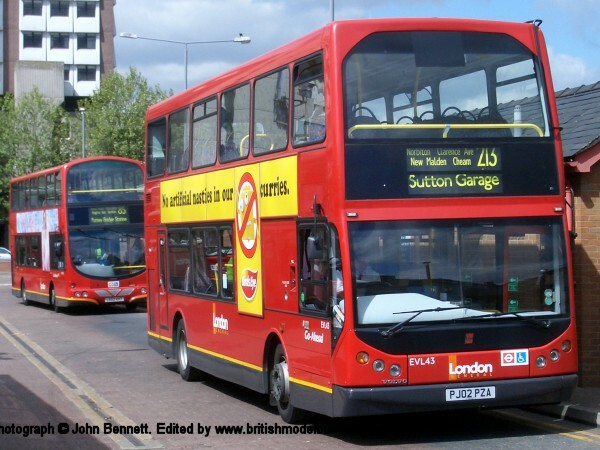 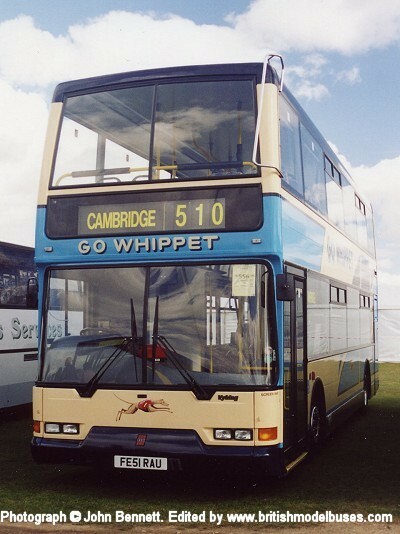 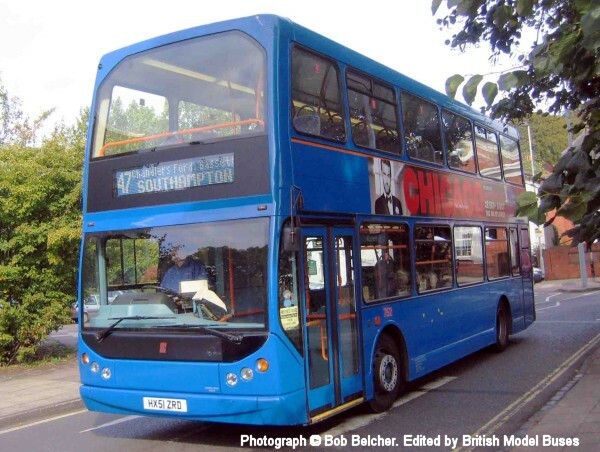 This photograph taken at Showbus 2000 shows fleet number 820 (T820 RFG). 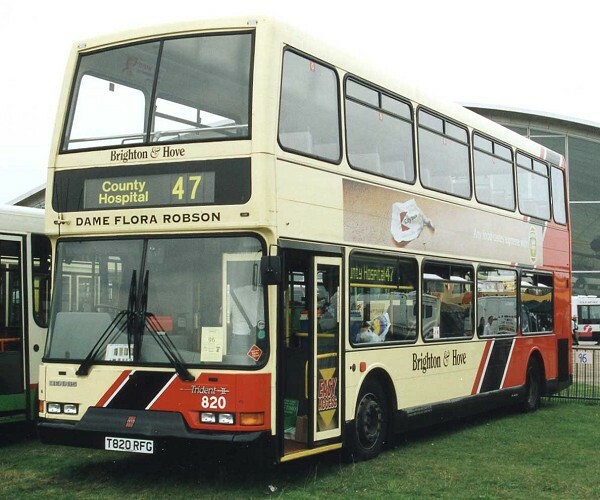 This vehicle is similar to fleet number 825 (W825NNJ) as represented by Model Collector Magazine reader offer Corgi OOC model OM42507. 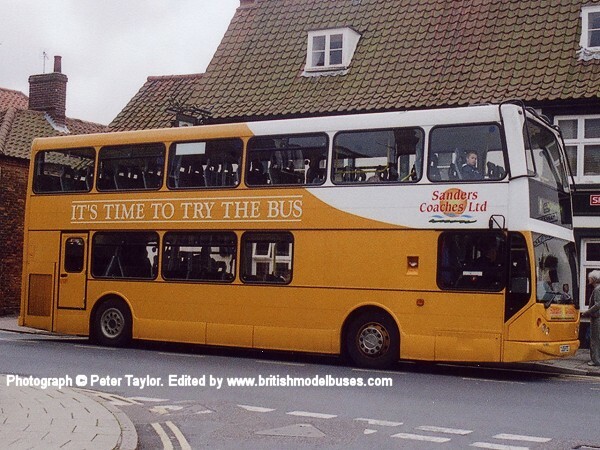 This photograph taken in Central Brighton on Saturday 8 November 2003 shows fleet number 825 (W825NNJ) this is the actual vehicle as represented by Model Collector Magazine reader offer Corgi OOC model OM42507. 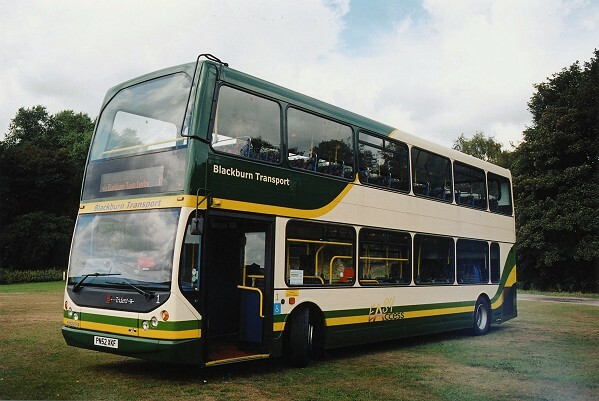 This photograph taken at the East Lancs Rally, Heaton Park on 7 September 2003 shows fleet number 1 (PN52XKF). 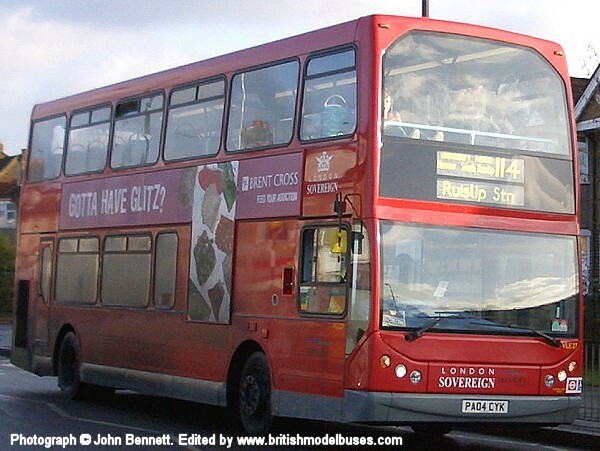 This is a sister vehicle to fleet number 5 (PN52 XKK) as represented by Corgi OOC model number OM42505. 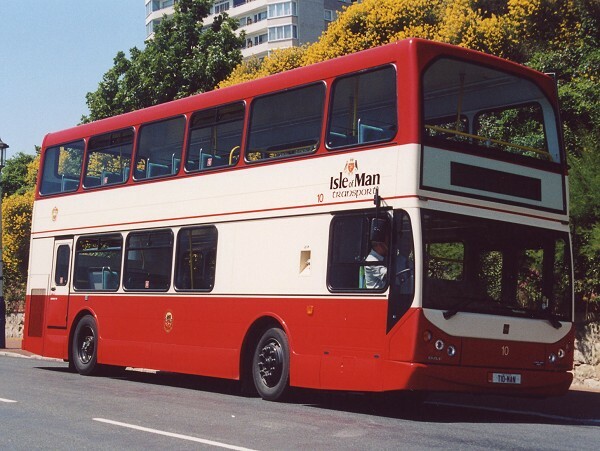 Please note the Corgi Catalogue January to June 2004 describes fleet number 5 as being a "Myllennium Vyking". 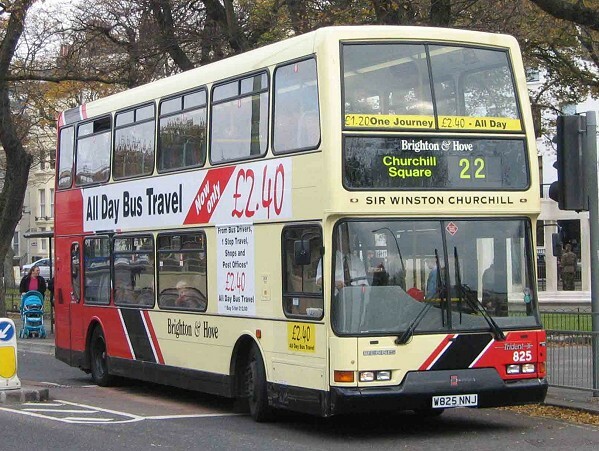 This photograph was taken near Liverpool Street Station 8th July 2004 and shows HTL12 (LR52LYC). 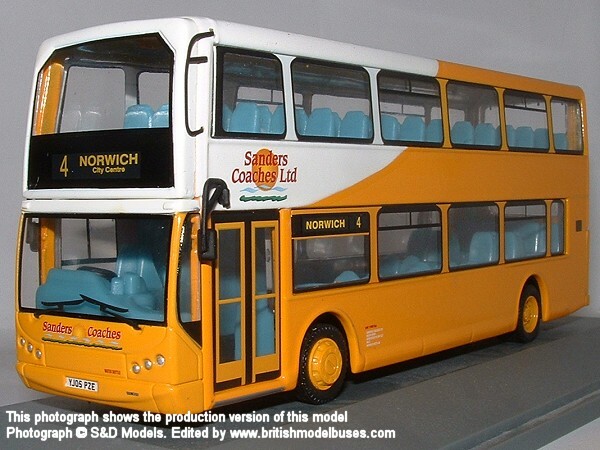 This is the actual vehicle as represented by Corgi OOC Model Collector Magazine reader offer model. 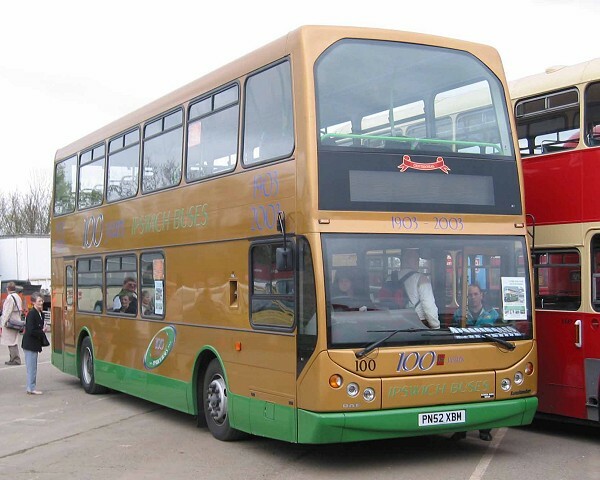 Corgi stock code to be confirmed. 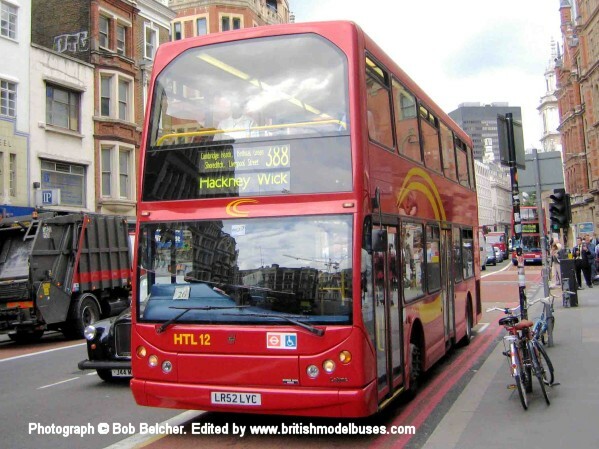 This photograph was taken near Liverpool Street Station, in Winter sunshine and shadows on 10th November 2004 and shows HTL13 (LR52LYJ). 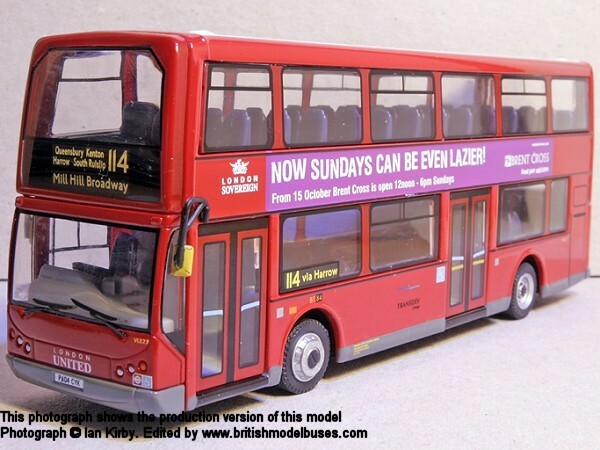 This is a sister vehicle to HTL12 (LR52 LYC) as represented by Corgi OOC Model Collector Magazine reader offer model. 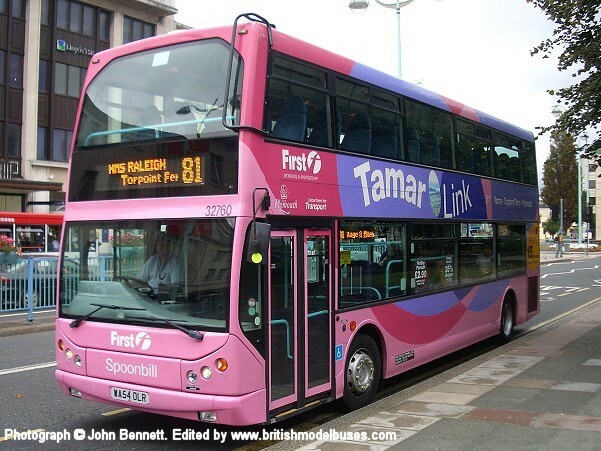 This photograph was taken in Royal Parade, Plymouth on Monday 17th September 2007 and shows fleet number 32758 (WA54OLT) 'Egret' in Tamar Link livery. 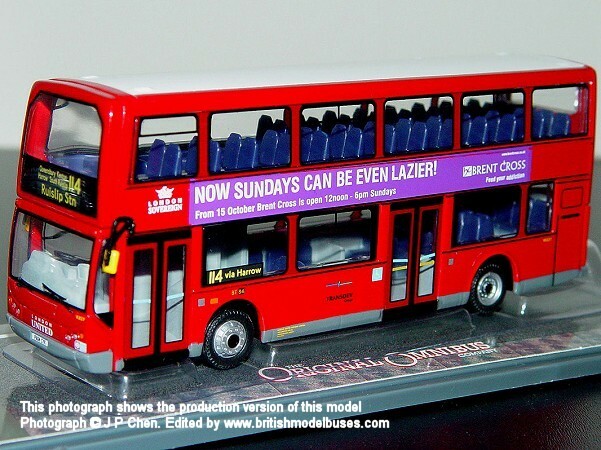 This is the actual vehicle represented by Corgi OOC in Tamar Link gift set OM99191B. 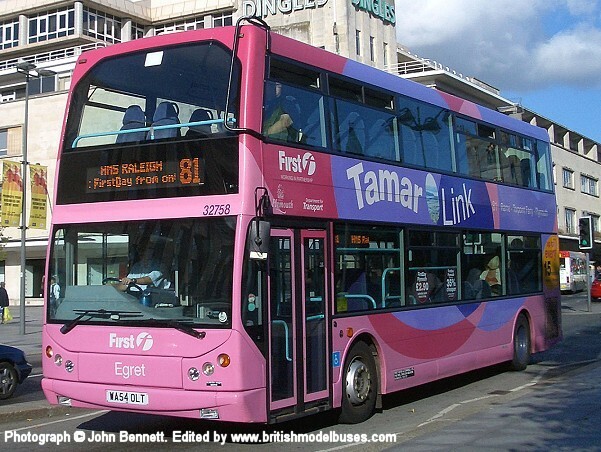 This photograph was taken in Royal Parade, Plymouth on Friday 14th September 2007 and shows fleet number (WA54OLR) 32760 'Spoonbill' in Tamar Link livery. 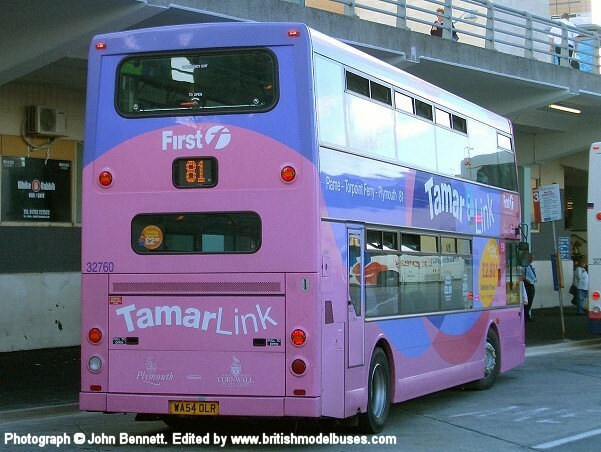 This is the actual vehicle represented by Corgi OOC in Tamar Link gift set OM99191A. 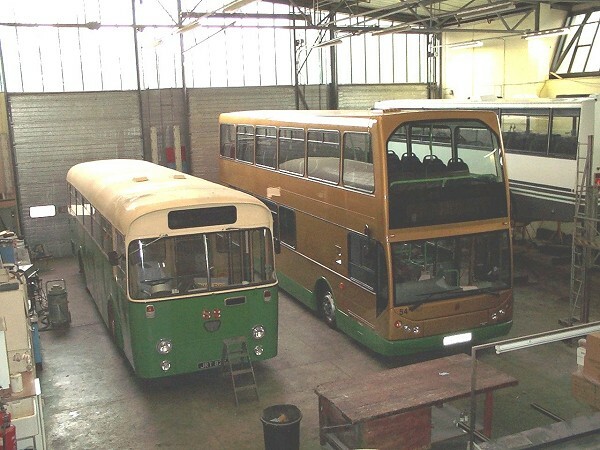 This photograph was taken in Bretonside Bus Station, Plymouth on Monday 17th September 2007 and shows the offside view of the above. 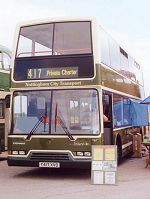 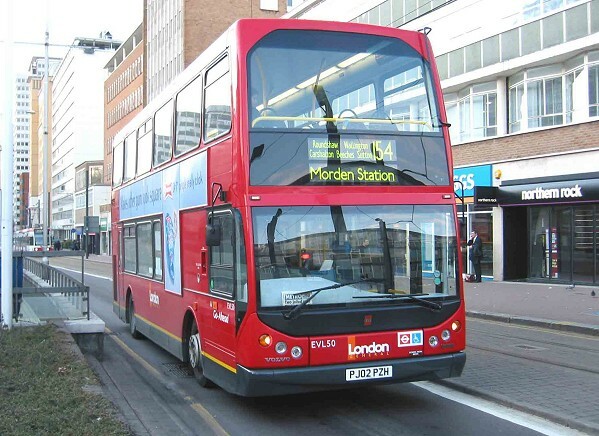 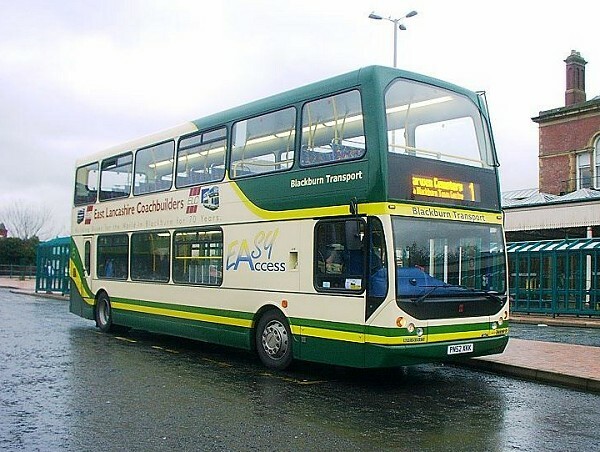 This photograph was taken at Showbus on 28 September 2003 and shows the nearside view of the above. 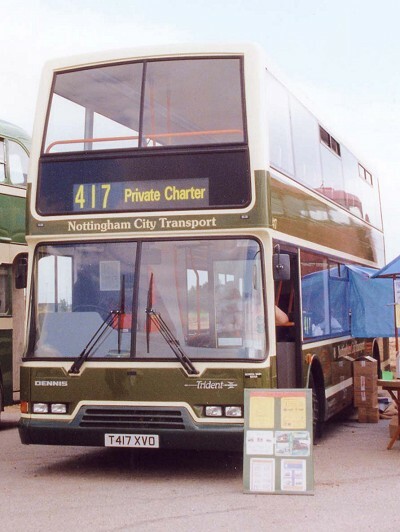 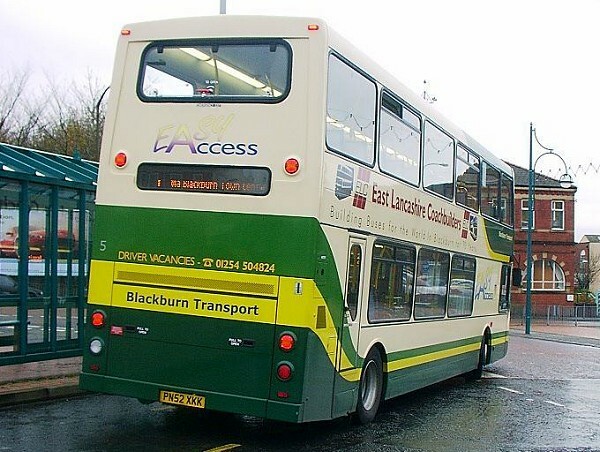 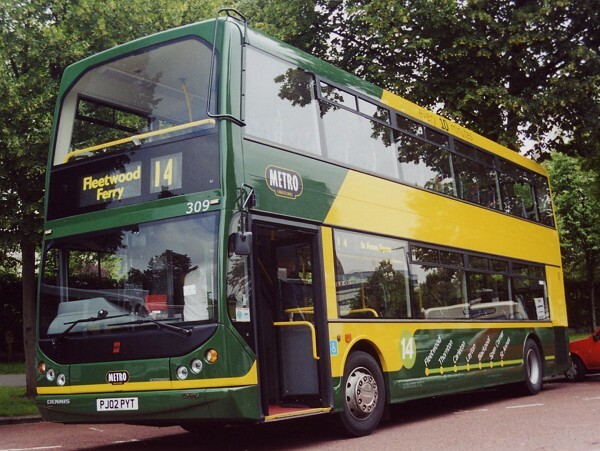 This photograph taken at Showbus on Sunday 22nd September 2002 and shows FE51RAU. 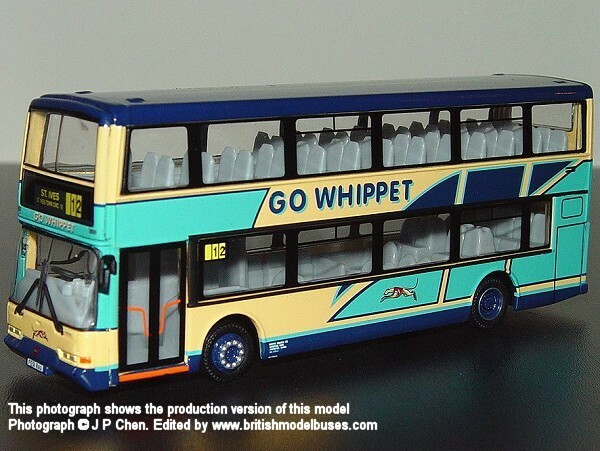 This is the actual vehicle represented by Corgi OOC model OM42516.